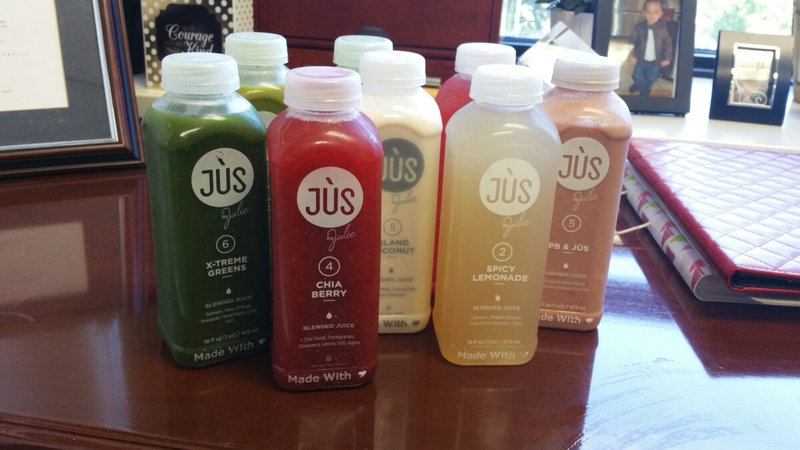 Jus by Julie – my first juice cleanse..
day 1. juices were delicious.. my favorite was the island coconut and chia berry.. lots of green things that weren’t too bad either, but definitely healthy. Overall I am craving meat and bread and basically anything I need to use my teeth on. I get 6 drinks per day which is enough to satisfy but I am definitely hungry.. well no one said doing a cleanse was supposed to be easy. 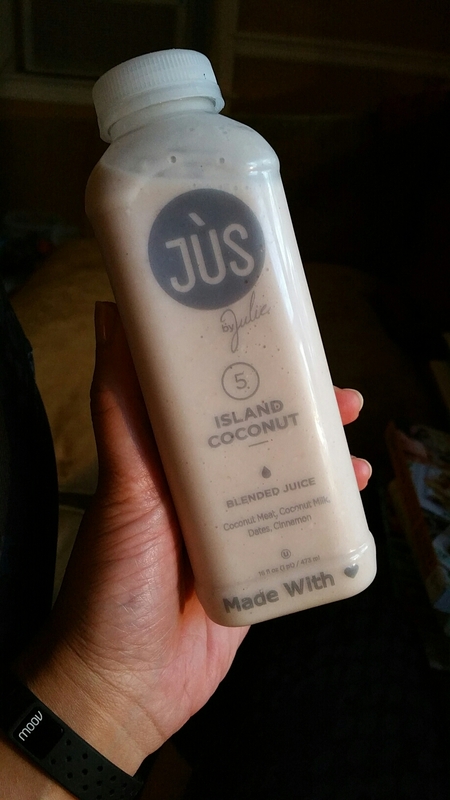 Day 2. juices still taste good but my mouth waters at the mention, smell or sight of any food. I may have to go to bed early so I don’t cheat.I made my son his chicken nuggets for dinner and took one long delicious and tortuous whiff. I didn’t falter. stayed strong.